Our residential LED lighting offers a stunning nighttime display at a great price. 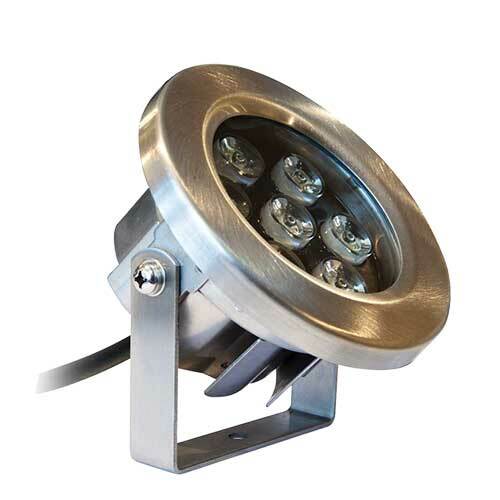 There are several distinctions from our commercial LED lighting. First is in the transformer, which is a non-submersible unit engineered with a durable all weather housing. In addition, the transformer on this style has a built in photo eye that automatically turns the lights on at dusk, and a timer than runs for 4, 6, or 8 hours before turning the lights off. These 2, 3 and 4 light sets install in minutes to your new or existing fountain and feature stainless-steel fixtures and brackets. Long-lasting, energy efficient and simple to use, these LED lights will create a stunning focal point to your outdoor paradise. Contact us for additional power cable length.